People talk a lot about how China is modernising, and it’s true that the country has developed at an incredible rate over the past 30 years. Nonetheless, nothing delights me more than to travel around China’s countryside and small towns. Taking a detour down a cobbled backstreet, I came across some villagers. 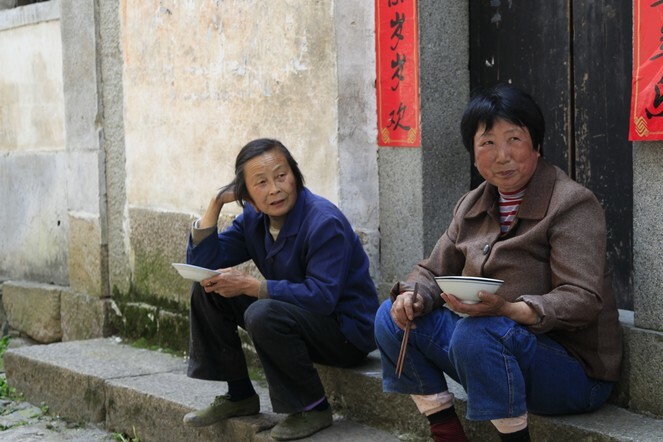 They sit on their doorstep, a bowl of noodles in one hand and a pair of chopsticks in the other, and chat away for hours. This is the more gently-paced side of China.